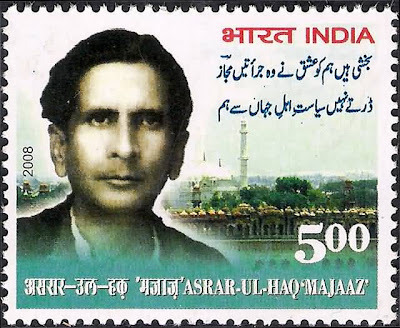 The postal department of the government of India, has issued a stamp on romantic-revolutionary poet Majaz (1911-1955). It is a befitting tribute to the great poet who wrote the first verse on India's tricolour and also penned the famous Tarana-e-Aligarh. Apart from his magical poetry, another important aspect is that he addresses [and looks at] women as an intelligent companion--a 'hamsafar'. Majaz is also remembered for his Nazm [verse] 'Aawara' which had become the voice of youth in his generation and thereafter. The Nazm that starts with the lines, 'Aye Gham-e-dil kyaa karuuN, Aye wahshat-e-dil kyaa karuuN' has been sung by Talat Mahmood and Jagjit Singh, both in their own distinct styles. Now, coming back to the stamp on Majaz Lakhnawi. One can see the Tile Wali Masjid, the parts of Imambara and the skyline of Old Lucknow in the background of the stamp. It is this City where he grew up and where lost his life on the roof of a liquor shop on a winter night, abandoned by companions. And where fifty years later people still recall his tragic demise. Majaaz Lucknowi couldn't marry his lady love, who instead chose a civil servant rather than an unemployed poet. Twice he was treated for mental breakdown and ultimately died at a young age. He was barely 44 but was undoubtedly the most loved poet in India. Unfortunately he was forgotten soon after his death though Urdu world still fondly remembers this great poet. Vice-President Hamid Ansari formally released the stamp on March 18. The stamp and the 'first day cover' were released in the presence of Majaz's youngest sister Hameeda, who has recently penned her autobiography in Urdu, and Majaz's nephew lyricist Javed Akhtar [son of Safia Akhtar, who was Majaz' sister]. These are just a few names to begin with. Most of them are suave, sophisticated and educated. Salman Khurshid* can't easily win a Lok Sabha election. I am not upset with him because he hardly ever utters a word of Urdu [or even Hindustani], as many point out, and speaks the most Sanskritised Hindi, among political leaders. Of course, he is the grandson of Zakir Hussain. I have no personal issue with him except that one hardly gets to hear anything from him on any any issue [not taking about Muslim issues alone]. Mohsina Kidwai, hasn't won an election for ages. She has little credibility in the state she comes from. After all, either its riots or killings like Maliana, one never heard her voice. She is in Upper House, a Rajya Sabha member, elected not from UP but Chhattisgarh. Muslims fail to understand why consistently these 'leaders' are forced upon them. Why should leaders who don't have any following be given posts or kept as show pieces. Either replace them with popular Muslim leader or remain the posts unoccupied. In UP, Muslims do have much more trust in Pramod Tiwari and Sri Prakash Jaiswal and their secular credentials than these Muslim leaders. Lately there were several issues but did anybody hear them leading any movement or even their voice. 1. Either it is the arrests of persons like Haji Ishtiaq, Aftab or similar arrests in which police had to later accept that it had wrongly caught innocent persons or framed them on false complaints, such Muslim leaders remained mum. Rather, the Loktantrik Party, Samajwadi Party and Ajit Singh, who raised these issues. 2. When madarsas were blamed for all the ills and seminaries are defamed, where these leaders go hiding? Or if they speak, why we don't we get to hear their voices. After all, what's their job if they can't even speak? 3. Muslim youths who are arrested in various parts of UP who have no legal support due to the unprecedented decision of Bar Associations to not fight any case in which police has accused a person of terrorism. Himself a lawyer, Khurshid could have tried for a mediation. Now, Muslim lawyers have come together to fight the cases of youths, who are framed and are languishing in jails. Again it is getting communalised, which is not a healthy sign. 4. 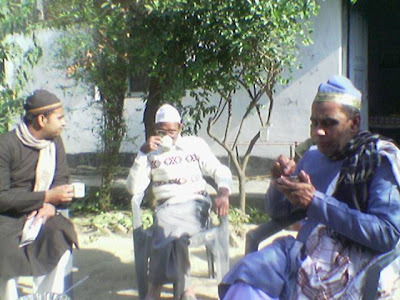 Clergymen Khalid and Tariq, who are alleged to be involved in militancy, have been languishing in jails. Everybody is claiming that they are innocent and were framed. The Government has ordered a judicial inquiry. There have been reports of Muslims clergymen subjected to torture, forced to drink liquor, given electric shocks and made to undergo the most unpleasant things to make them 'confess'. For months they are in custody and police have failed to substantiate its charges. The police story fell flat as it claimed they were together on a mission and were caught with ammunitions but hundreds of people have petitioned that there were caught separately, from different places and at different hours. 5. Forget such issues. Ever heard about any effort to provides basic civic amenities or movement for health facilities or education in this backward state. Salman Khurshid's favourite pastime was training his guns on Mulayam Singh Yadav during his tenure has UPCC chief. Where are these leaders. Nobody expects them to deliver fiery speeches but they can take up issues and try to resolve them. But they are never seen or heard. I wonder what they do. And many other Muslims like me also wonder. What's their use? Is it just for their Muslims names do they survive! 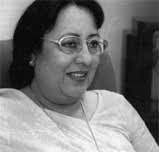 Don't forget Najma Heptulla, who has the most unique political life, just by virtue of having some sort of a kinship with Maulana Azad, and when she grew too big for he boots and was dumped by Congress, she continues to be in Rajya Sabha with the BJP support. Can she win a corporation election on her own! Act or at least speak, on any issue, where it involves Muslims or not. But they are greats, they do know this art of survival. And the parties seem to love them. The closure of Biswin Sadi, one of the most popular social-semi-literary Urdu magazine, has come as a shock for Urdu-walas in the country. It was probably the oldest surviving Urdu magazine in India*. It was just ten years ago that the debate had begun whether the magazine should change its name as the Beeswin Sadi [20th century] was coming to an end. But it was later decided that the old name would be continued and even after the arrival of the new millennium and the New century, the magazine continued to be published under the same name [It didn't become Ikkiswin Sadi]. Under the late Khushtar Girami, it had already became a great institution. After his demise, Z Rahman Nayyar, brought out the magazine with the same passion. Until recently it was doing fairly well. Though Shama, Ruby and other similar magazines closed, Biswin Sadi remained the market leader in its own segment. The satirical Teer-o-Nashtar, the Afsanas (Short stories) and selection of ghazals-nazms, apart from the columns 'selection on couplets based on topics' and the 'Replies to readers' columns were all unique. Ziaur Rahman Naiyar, despite his frail health, and age, was bringing out the magazine. Stalwarts like Kashmiri Lal Zakir, Izahr Asar, Kailash Mahir and umpteen such names were still visible on the pages of this magazine that gave literary taste to several generations. It was in a different league: much above Khatoon-e-Mashriq and Pakiza Anchal in terms of literary standard. Once, the great Ram Lal, used to write in Biswin Sadi. Though he was not seriously taken by literary world for the same reason, but he got immense popularity across the sub-continent, because his stories were published in Biswin Sadi. Over the years it has become a rare sight to find an Urdu magazine outside ghettoes. But apart from Jaraem and Islamic digests, Biswin Sadi was found on AH Wheeler stalls at railway stations across the country. It didn't have religious overdose either and was in a true sense a social magazine. The owner-editor Rahman Nayar is now quite old. But a magazine of such great history that was published for over seven decades, shouldn't be closed because of the mere reason that one of his kins, whom he trusted, ditched him financially. It must be revived. Otherwise it will be a big blow. A void that can never be filled. Chacha sells qeema-stuffed samosas, a non-veg delicacy which is no longer very commonly visible in Cities. Inflation has hit him hard. Chacha is quite old now. Yet, he and his wife make 200-odd samosas, which fill his cycle's rear basket. On road, those who know him, wave at him and buy the samosas from him. Outside mosques the business is better when people are coming out after prayers. The best day is ofcourse Friday when the mosques are packed to capacity. Along with Biryani, Haleem and Zarda, Chacha's samosas have also many takers. But price of mutton has been soaring and buyers don't want to spend more than Rs 2 for each samosa, which has become thinner and the quantity of qeema (minced meat) getting lesser. There are admirers of these samosas. Those, if they came to know about the delicacy and the place it is sold, can buy the whole basket. But this is the parallel Muslim economy--Biryani for Rs 6-10 a plate and Keema samosa just for Rs 2-3, that flourishes in old quarters and narrow lanes. The same Qeema samosa presented as an exotic dish would find a place at the top of menu of any five star hotel, and could be priced anything between Rs 30-50. But Chacha, or another elderly seller, Barkat Miyan, don't have any idea about marketing or how to promote it. They are content with whatever little they manage to earn. Railway journeys are always fascinating in India. Due to the long duration, one gets to interact with many different people. On a recent journey my seat was close to the coupe in which members of a Tablighi Jamaat were sitting. They were probably going down South. Mostly in India, people do try to help you when you are praying and so when the group started their prayers, the other passengers, shifted from that coupe to the neighbouring seats, to facilitate the namaaz. Passenger tries again: Says something about religion protecting people in Kali Yug. The man, dejected, kept mum thereafter. *Aap log kahaan jaa rahe hain? -- one guy mumbles something. *Kyaa aap log bangalore jaa rahe hain? Ridiculous, I thought. The next morning I asked one of them, weren't they going to Bangalore? "Actually we are going there for the first time". Oh, I see, so if you are going to a place for the first time, why can't you name the place. Railway is one of the best places to establish harmony, interact with others and send the message across that you--'the typical daadhi-topi-madarsa man'-- is just like a neighbourhood guy. But by creating a wall around yourself [for what reason? ], you end up harming your image even more. For godsake why can't you be normal yaar. That's not the first time I have seen it though I am writing it for the first time. In the winters, Kashmiri Chai is one specialty of Lucknow, which you won't find elsewhere. This pink-coloured Chaai is a delicacy prepared through a special process. It tastes very different from tea and even those who don't like tea, drink cups and cups of it. The preparation of Kashmiri Chai, ( it derives its name form Kashmiri Mohalla of Lucknow) is different in the sense that the hot beverage is tossed in air repeatedly for a long time from one container to other and then only this colour and odour appear. The tea leaves are also different. It is a connoisseur's tea and even a minor slip in procedure will raise the eyebrows of the Lucknow-walas. It is served along with Balaai (in Lucknow malaai is called baalaai, as baalaa means top in Urdu). If you are planning to go to Lucknow, don't miss the Kashmiri Chai. You can get it at Akbari Gate and some other localities in the Walled City. Nimish (also called Makhan, which is also a special sweet delicacy not available anywhere else), Kashmiri Chai, Kulcha Nahari and Tunday's Kebab are a few things you can't afford to miss. One of the oldest and most influential Muslim organisations in the country, the Jamiat-e-Ulama seems to have almost split. The 85-year-old organisation which has played vital role in securing the rights of Muslims and fought many battles is today in a sorry state, with a group 'expelling' Maulana Arshad Madani, the president. In the executive body meet on March 6, not only the leadership of Maulana Arshad Madani was challenged and another group of Ulema (that supports Maulana Mahmood Madani) nominated Qari Mohammad Usman as the working President of Jamiat thereby 'removing' Arshad Madani from the post for his anti-Jamiat activities. 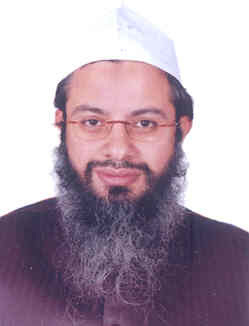 Maulana Arshad Madani's newphew Maulana Mahmood Madani moved a resolution, expressing lack of confidence in the President. Maulana Arshad Madanai later walked out along with his supporters. A final attempt for patch-up would be made later this month in a special meet of the General Council (March 26). The episode has shocked Indian Muslims. Under the presidentship of Maulana Husain Ahmad Madani, Jamiat established its authority as the apex Muslim body to take stand and voiced their concerns. After the downfall of Mushawarat, it is another blow for the Indian Muslims. The AIMIM, a political party based in Hyderabad, has completed fifty years of its existence and a big celebration was organised to mark the occasion two days back. The party that has its base in Hyderabad and some other towns of Andhra Pradesh*, is often in the news for protests and the 'ability' of its cadres to bring Old Hyderabad to a halt on any issue (or non-issue). It's name clearly suggests that it is a party to secure the interests of Muslims. And though it is generally not viewed favourably in media and other sections of the society, it's a unique case in our political system. 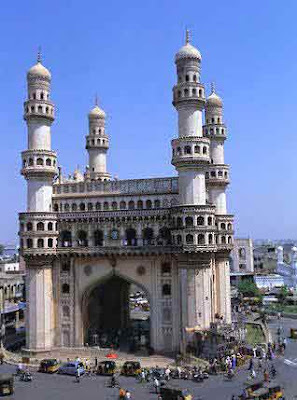 Due to its strong presence in Old Hyderabad, the Majlis that sends 1 MP to Lok Sabha, 5-6 MLAs in the AP Assembly and has presently 36 councillors in the 100 member Municipal Corporation, does hold considerable clout in Andhra Pradesh, which could be termed as disproportionate to its vote share in the State. 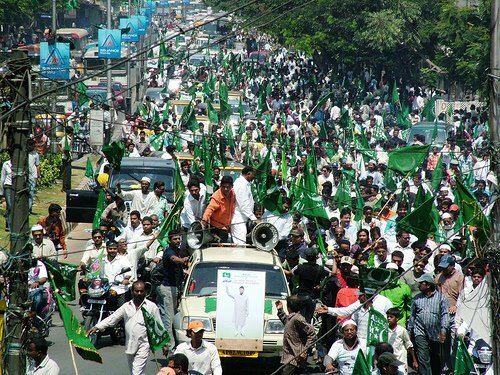 The fact that the Capital city of Hyderabad has nearly 40% Muslim population is MIM's stronghold, helps the party in maintaining its clout. Even though Majlis' cadres are considered trouble-makers and the fact that educated Muslims in the State often don't approve of the party's style, it has played a role that is worth study. The focus on Muslim issues specially Waqf properties, education and civic issues is much more in AP than in any other State and the party is responsible for that to a large extent. But it must reinvent itself, improve upon its image & become more inclusive. The Majlis' success lies in the fact that it makes itself heard and that is one reason that minorities' issues are seriously taken up by governments in Andhra Pradesh that has barely 8.5% Muslim population and just 1 MP (Asaduddin Owaisi). Compare this to UP that has 11 Muslim MPs and 19% Muslim population or West Bengal that has 25% Muslims where encroachments on Waqf properties, opening of schools or hospitals are hardly a subject of discussion. And one can understand the success of Majlis as a political movement. It was undoubtedly a colossal challenge to run the party that had a communal history after independence and in the backdrop of police action. Though Majlis had changed its party constitution, there was still pressure on its leaders to disband the party and many of them were jailed. Ultimately the party survived and by 70s began to acquire political power. On the occasion of the Golden Jubilee of the party, its chief Sultan Salahuddin Owaisi said, "We have done what others could not do. Quite true. He recalled that it was impossible to talk about rights of Muslims in the decade after independence and said that his party not just got political power but also built hospitals and educational institutes". The Kul Hind Majlis-e-Ittehadul Muslimeen or the AIMIM has grown stronger over the years though there was a major challenge from the breakaway group of Amanullah Khan who launched his Majlis Bachao Tehrik. The fresh challenge is from the editor of Urdu daily Siasat, Zahid Ali Khan, who along with the support of two other prominent dailies, Munsif and Rahnuma-e-Deccan, has launched a campaign to 'expose' AIMIM. The Majlis has started its own newspaper Etemaad to counter the so-called propaganda. Zahid Ali Khan is likely to float a political party and take on Majlis. The Hyderabadis, whom I know, say that Khan's appeal is more among the intelligentsia and the educated lot while Majlis has strong connection at the grassroot level. The party does need to improve its image. Though it doesn't indulge in politics of hate, its' politics and aggressive behaviour [attack on Taslima Nasrin] isn't liked. Whether MIM leaders would like it or not, in most of India it is viewed as a smaller and Muslim version of Shiv Sena, which is ironical as Thackeray's party is far more notorious and incomparably fascistic besides its cadres' involvement in killings during riots. Though Majlis remains strong, its success is in no way exemplary. It is just a special case in our very special democracy. There are Cities and districts in India that have similar (or even more) percentage of Muslims ranging from Rampur to Moradabad and Bhiwandi to Firozabad, but nowhere else is such a phenomenon existent, apart from IUML in Kerala. 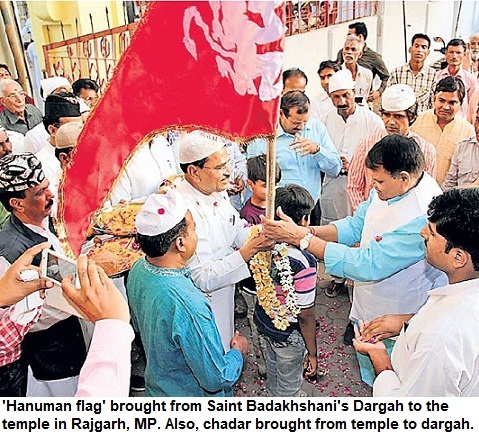 What Indian Muslims do need is that our leaders, irrespective of caste and community, take up genuine issues of Muslims. After Independence, it was Pt Nehru whom Indian Muslims considered as their own leader. We don't have leaders of such stature. 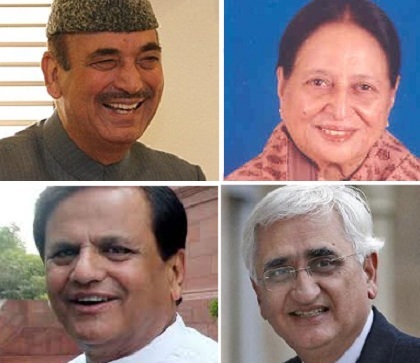 But still, it is either Bahuguna, Jagannath Mishra, Arjun Singh or Mulayam Singh who Muslims trusted more and voted for than any Muslim leader--of the likes of whether Shahabuddin or Salman Khurshid. *This is an old article. 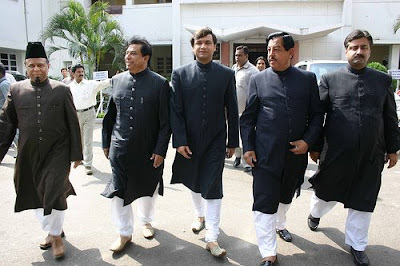 Since then, AIMIM has expanded and has won Assembly seats in Maharashtra and its candidates have contested successfully in several civic bodies too outside Telangana. Al-Risalah, the first Hollywood movie on Islam, which has been dubbed in Urdu/Hindustani and released in India, has been taken off theatres in Hyderabad. Following this the screening of the movie in Kolkata was also stopped. Director, Moustapha Akkad directed the film that has songs composed by AR Rahman. The song 'Marhaba Mustafa' has already got popular. 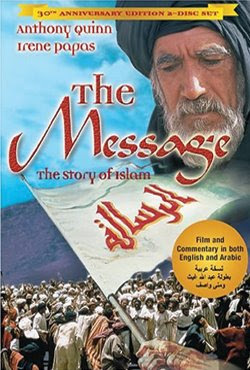 The movie was originally made in Arabic and English, and has recently been dubbed with lyrics and dialogues translated by Hasan Kamal. Of course, Prophet (SAW) has not been depicted on the screen. No prize for guessing about the Hyderabad ban though: Majlis had protested the screening. When questioned that when Muslims in many other countries were watching the movie and clergy had okayed it, an AIMIM leader said that "it will still not let the movie run in the City". The Indian distributors must have suffered loss as the movie is getting banned in one city after the other. However, they hope to earn through VCD that has more songs including Arabic ones and sermons. The reviews suggest that this movie, funded by Muammar Gaddafi, had been praised in Arab world and the West alike. Once the enfant terrible of Dalit politics in India, Ram Vilas Paswan, appears a lonely figure in the Indian political scenario. A die-hard Dalit politician, who genuinely took up Muslim issues, and was touted by most including his opponents as Prime Minister material, has been marginalised by the growth of BSP. In conversation he no longer exudes the same confidence and looks dejected. He is trying hard to keep his Lok Jan Shakti Party (LJP) flock stay together. But he knows it is difficult to survive the Mayawati storm sweeping across the heartland and even beyond. 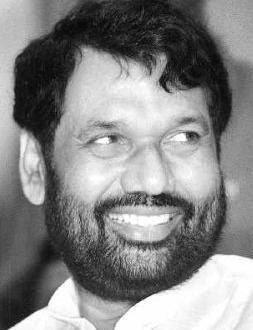 Though he is still a Union Minister, Paswan is no longer the force, he once was. In the 80s when anti-Muslim rhetoric was at its peak, Paswan was the only politician who countered rustic rabble-rousers like Uma Bharti, Mahant Awaidyanath, Kalyan Singh and their comparatively more 'suave' hate-preachers like Lal Kishenchand Advani and Murli Manohar Joshi, both on ground-level and in the parliament in the same idiom. His speeches in the Lok Sabha, especially in 1989-1991 period, gave many Muslims the hope that there were still leaders who were ready to speak on behalf of Muslims in the communally charged political atmosphere. Once, he held the record for a win by highest margin from Haridwar, and in later years had to return to Bihar and keep shifting his constituencies to win the election. LJP is not a force to reckon with even in Bihar. His Dalit Sena is in a disarray. And the media, particularly, the Hindi-English [Brahmanical] press, doesn't seem to have a linking for him, at least, that's what he feels. Sometime back he held a big conference on Dalits in Delhi and not a single major newspaper or TV channel reported it. A couple of from months from now, he will chair a global conference that is being organised in association with Dr AR Nakadar. This international conference will be regarding issues of Dalits and Muslims apart from bringing these communities together. It will be held in America. Though it seems unlikely that the current caste equations would change much in Uttar Pradesh [UP] in near future. Take Mayawati's name in front of him and Paswan, gets angry, 'She is rejuvenating the manu-vad, if the horse befriends the fodder how will it survive' and even tougher words. Though he was a coalition partner with the NDA government led by BJP, Ram Vilas Paswan was the only leader who quit the government and resigned from the post of minister, on the issue of Gujarat riots, and among the rare politicians who demanded Narendra Modi's arrest. He was the first politicians who openly advocated the demand for reservation for Muslims and also pressed for extension of facilities to Dalit Muslims [who converted to Islam from Dalit castes]. Even if politically motivated, these issues found few takers initially. All along his career Paswan has been sincere towards Muslims unlike Mayawati who has become Chief Minister of UP repeatedly with the Muslim support but never taken any concrete step towards the empowerment of the community. He is sad that Dalit movement is almost dead. That the Dalits are not internet-savvy and can't mobilise on the issue of Khairlanji killings the way Jessica Lal issue hogged limelight. What's the future of Paswan and his party? Paswan also seems unsure.